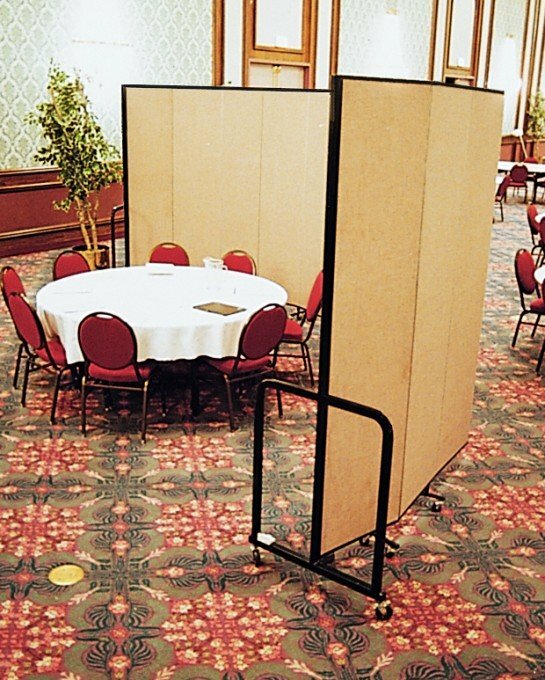 Uses: Banquet Hall, Hospitality, Hotels Colors: Browns/Tan/Beige Lengths: 9 panel 16'-9" Heights: 7'-4"
This hotel management team was tired of looking for a private meeting space for their weekly planning management meetings. The solution is to divide a portion of the dining hall into a smaller space with Screenflex Room Dividers. The wait staff can still bring meals and beverages to the table and serve other guests in the hall.